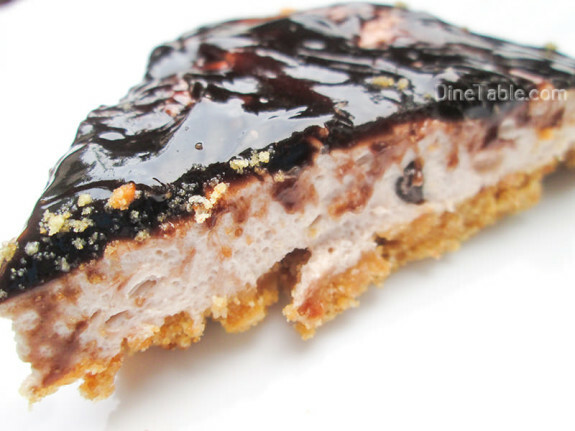 Delicious, smooth and gooey Cheesecake With Chocolate Sauce Topping is a simple and quick cake recipe. A homemade cake is the best way to make any occasion extra-special. 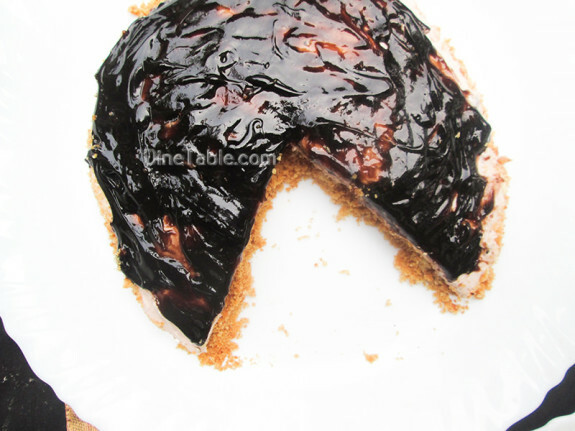 Try out this yummy and fluffy cake at your home. 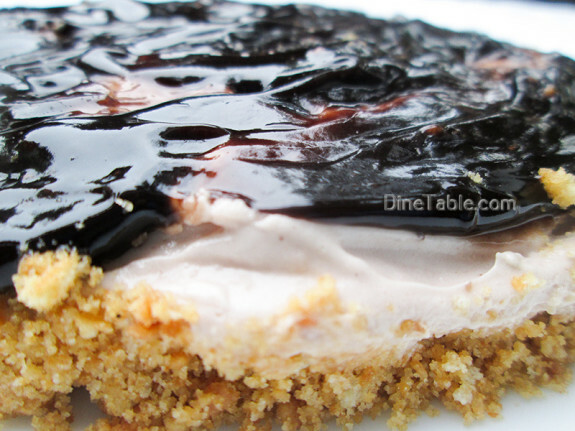 Cakes are the easiest desserts to prepare at home. The word ‘cake’ is derived from the Middle English kake. Be it as a tea time treat or a celebration dessert, cakes have been an all-time favourite! Prepare the crust : - Heat a pan and add butter into it and melt for 30 seconds. Powder the biscuits finely. Add the melted butter to the powdered biscuits and mix it till they resemble bread crumbs. Take a pan and press the biscuit crumbs on the base. Press it firmly and evenly. Refrigerate the base till firm and set. Prepare the filling : - Combine the egg yolks, sugar and milk in a small bowl. Place the bowl on a pan of boiling water and cook for about 20 minutes till the sugar has dissolved and the egg yolks are cooked through. Cool slightly and keep it aside. Take a bowl and beat the cream cheese and keep aside. Separately beat the cream and combine along with the cream cheese. To this, add the egg mixture, vanilla essence, lemon juice and beat well. Take a pan and combine gelatin and hot water. Heat slightly till the gelatin dissolves. Add the gelatin to the cream cheese – egg mixture. Mix it till thoroughly blended. 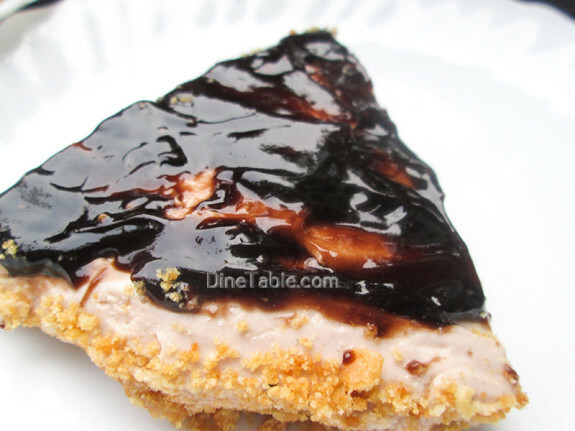 Pour this filling mixture on to the crust. Refrigerate for 3 hours or till the filling has set properly. 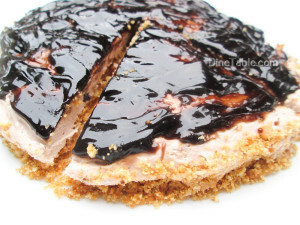 Care should be taken that the filling has set properly before adding the topping. Else the topping will sink into the filling. Take sugar, flour and cocoa powder in a bowl and whisk together to remove lumps. Heat milk, butter and vanilla extract in a saucepan over medium heat until butter melts. Whisk dry ingredients into the milk mixture, a little at a time. Increase heat to medium-high until mixture comes to a simmer. Cook it by stirring constantly for 6 minutes. After 6 minutes, turn off heat. Add a pinch of salt and mix well. Chocolate sauce is ready. 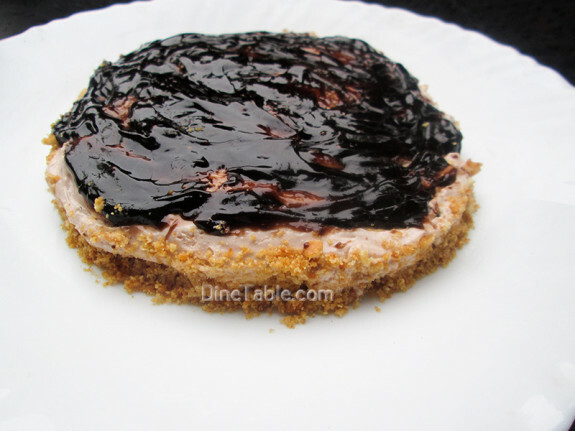 Add the chocolate sauce topping on cheesecake and spread it around so that the cheesecake is evenly covered with the topping. Cool it. 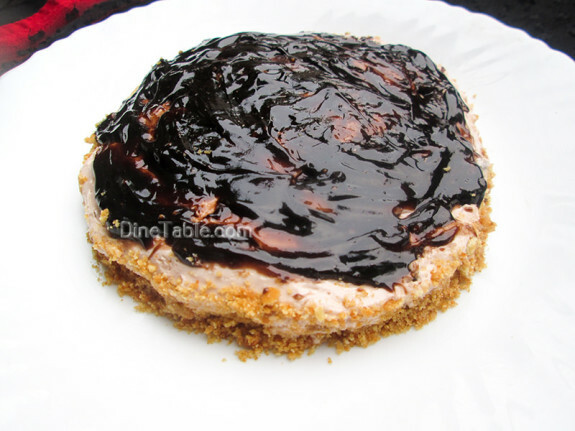 Tasty Cheesecake With Chocolate Sauce Topping is ready.